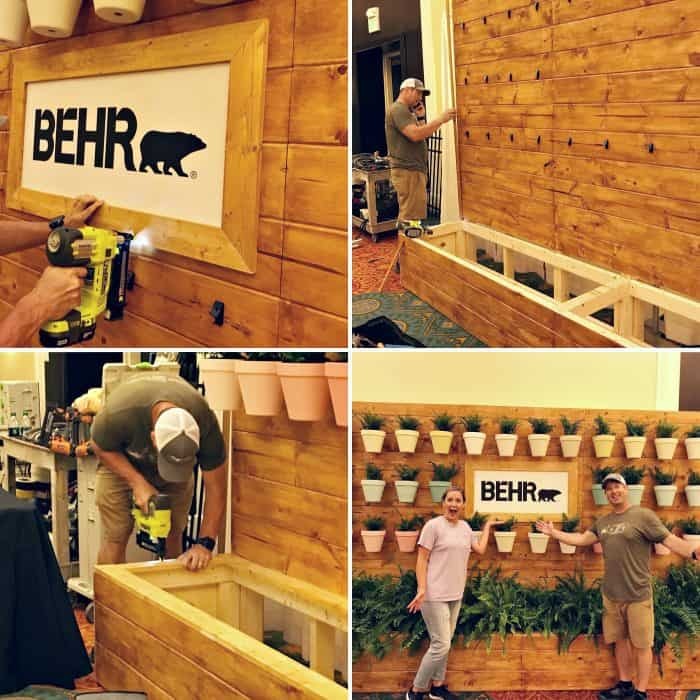 Developing a conference booth design that’s eye catching and showcases the brand’s product in the best way can be done with a bit of creativity. This post will take you through the how-tos of designing and building a successful conference booth. This post is sponsored by Behr Paint but as always, all opinions of products and honest reviews are 100% my own. 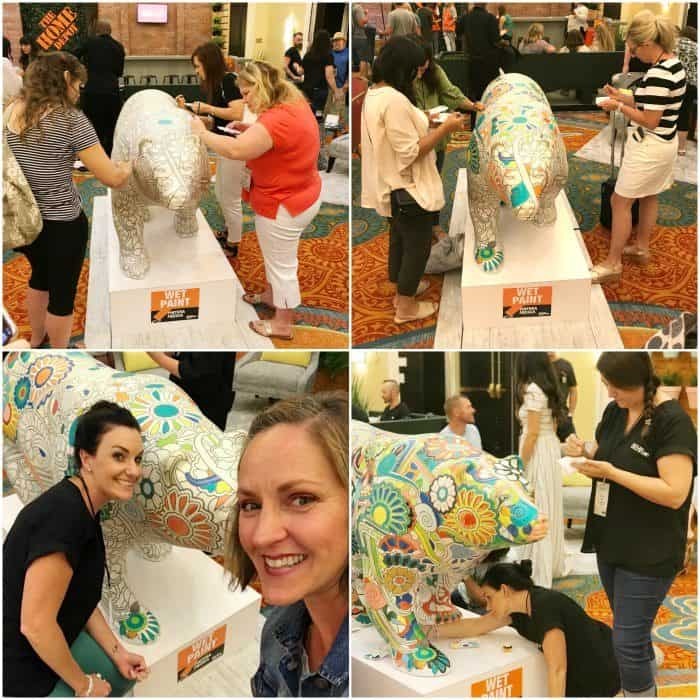 I was contacted by Behr Paint to design and build the booth backdrop for the brand’s presence at this year’s Haven Conference. I have used Behr products for years, so I knew it would lead to a great partnership. 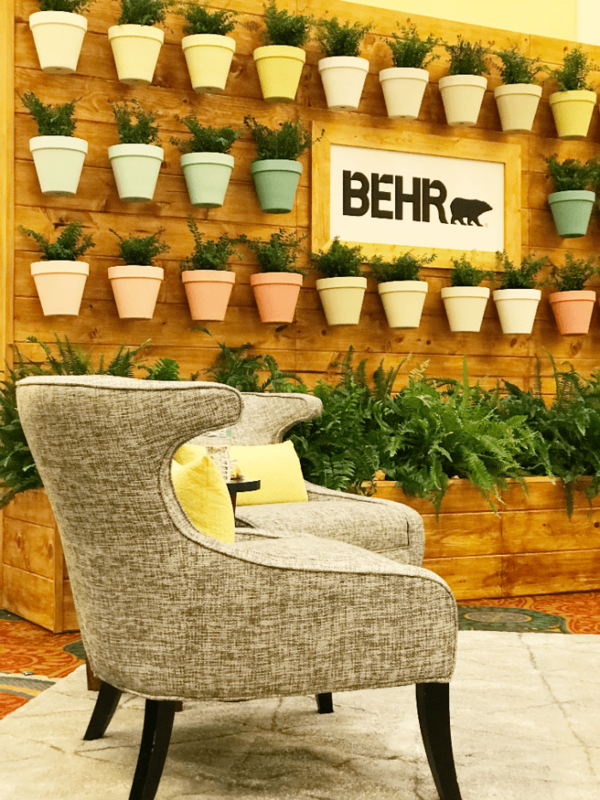 Using the original concept from the Behr team of creating a living wall, I began developing the overall design. Conferences, trade shows, and vendor events can get extremely overwhelming to the attendee due to the nature of so much going on in one big open space. Creating a booth space that draws people in can be a challenge. 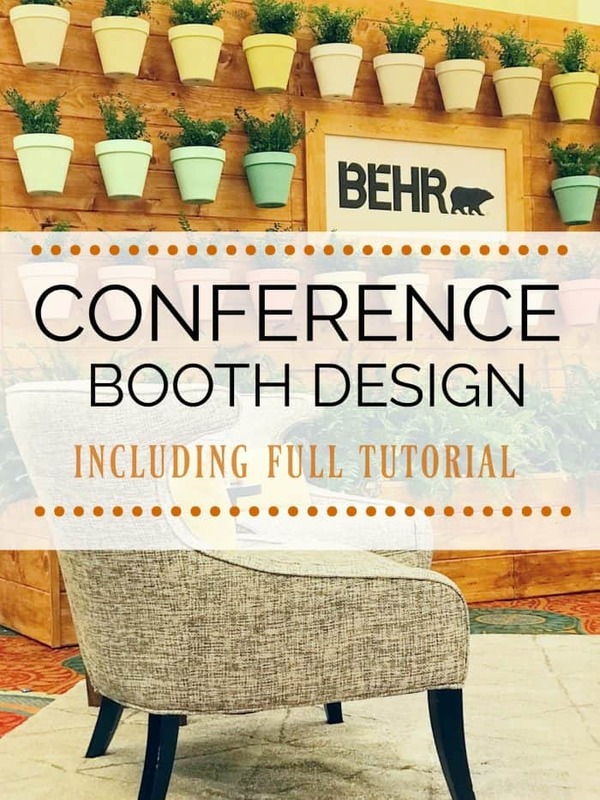 Follow along to see how to make your conference booth design a hit. Behr offers best-in-class interior and exterior paints in multitudes of colors, sold exclusively at The Home Depot. Making sure the paint colors were the star of the show meant keeping everything around them simple. This allowed for the wall backdrop to make a big visual impact from across a crowded conference room. Drawing the attendee in with simple lines and an ombré color palette brought lots of people to the booth, which then created conversations with the Behr team. Inspiration for the overall look was drawn from a cast iron replica of Charleston’s famous Rainbow Row, which also the theme of the conference. 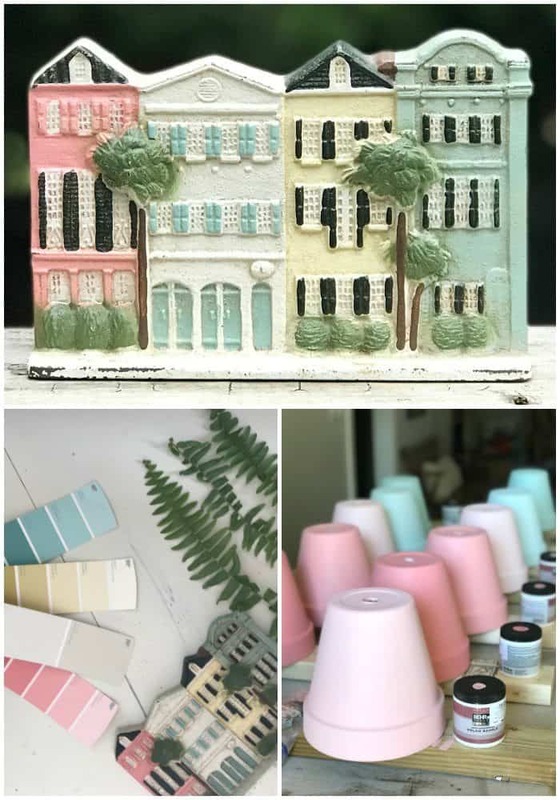 The color palette I put together from the Behr paint deck was my version of earthy pastels and is detailed below. The living wall design incorporated terra cotta pots, hidden pot hooks and a flower box along the entire front. All containers were filled with real plants, adding a beautiful touch of greenery. Building a wood plank wall backdrop that could be free-standing was the objective. This meant the backdrop needed to be free from movement and safe for those walking around it. The wall dimensions were 8 ft. tall by 12 ft. long. The wall was built in our garage before being transported to Charleston, SC for the Haven Conference. Typical free-standing walls are built with angle braces on the back. In order to have a free-standing wall that could sit as close to the back of the booth as possible, a planter box on the front was incorporated into the overall design. This box was able to be a functional part of the design in addition to holding the weight of the structure. Therefore, angle braces were not needed. To be extra cautious we bought four cement stones to sit in the bottom of the planter box. **Please note that all measurements listed are outside, meaning the measurement is including the frame, etc. 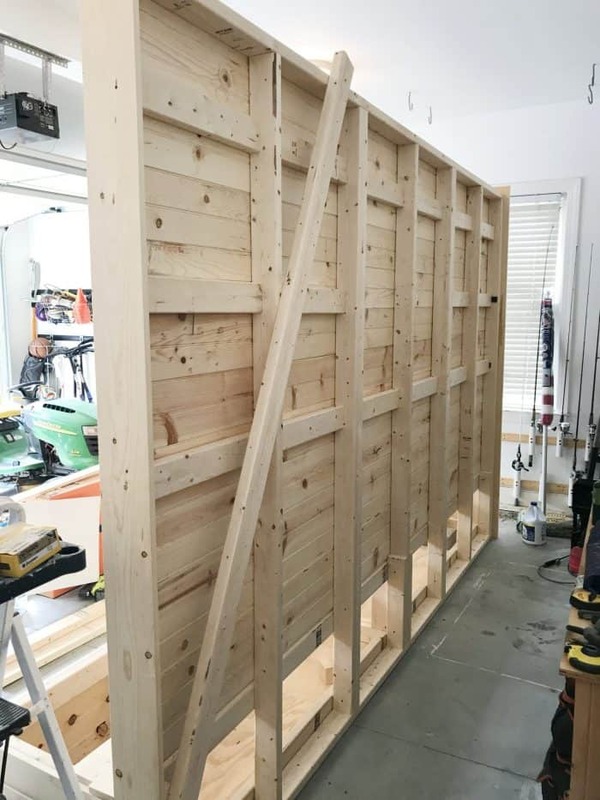 Build these first in order to support the stud wall as it is built. Create 6 ft. x 20 in. tall x 24 in. deep boxes using 2 x 4 lumber. Use 1/4 in. plywood for the bottom floor. 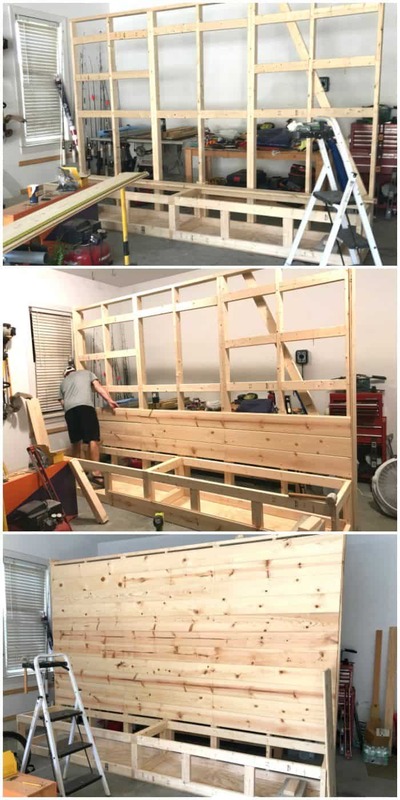 Build 3-8 ft. x 4 ft. sections for easy transport. Attach to the wood boxes as you build. Add wood plank board to both ends for finish look. Cut tongue and groove from wood plank. Using same plank as front wall allows for consistency when staining. Add bracing between studs as needed to secure any decor that will be added to the front wall once complete. We placed ours where the terra cotta pot hooks would hang. You will need to check your wall is plumb and level before attaching planks. Cut into 3 equal 4 ft. sections. Keep grain of wood consistent once staining by hanging planks in order of cut. Use small #8 Deck Mate screws for the first row (these will be hidden by plants). Attach with brad nailer for hidden nails. Printed and mailed to me from Behr. Create wood frame with 1×4 in. pine cut on a 45-degree angle at each end. Keep this simple and center-focused for big impact. Have an activity to engage attendees. 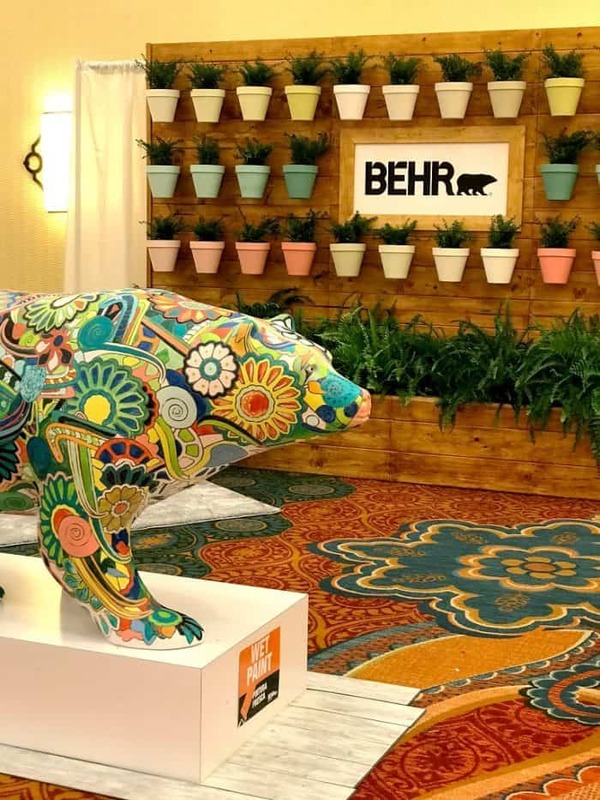 The paintable bear provided by BEHR was a huge hit. Place to sit feels homey and allows attendees a place to rest. The conference booth design and build went great. By completely building the structure in our garage then piecing it together on site was a huge help. No matter the design of your future conference or event booth remember these tips: simple, impactful, and conversational.